Fitness nutrition helps to improve the immune system. Which in turn helps to prevent various diseases caused by inactivity and bad eating habits. Heart disease, cardiovascular disease, diabetes, obesity, even depression can be eliminated. The two types of training you should do are strength training,called anaerobic, and cardiovascular training called aerobic. These two types of training work together to keep your heart healthy, and your muscular system. Both are necessary to give you the ability to lead a better life as you age. Paying attention to your diet is important especially as you start to get more and more active. With all of the information about various diet fads and programs,it's easy to get bogged down with what to do. The basic thing to remember is to keep it simple. Having a balanced diet is more important than trying to sick to the latest fad diet. Following a simple nutrition plan will help you to get more out of your fitness program. 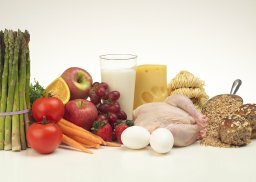 Eating protein and a certain amount of carbohydrates, each meal is recommended. It is also a good idea to take some type of supplement each day to make sure you get all of the important vitamins and minerals. You should try as much as possible to eat fresh foods high in nutritional value, and cut down on fast foods and processed foods. Perfect body health is achievable through body cleansing, quality exercising, and balanced nutrition. Important guidance, information, tools, and resources for those who seek better health, fitness, and weight loss to have a perfect body and perfect health. Preparing most of your meals at home can help to incorporate good nutrition into your life. Try some recipes from www.easy-healthy-meals.net. Drinking water is also important. In the past, it has been recommended that an individual should drink 8-10 glasses of water a day. However, recent research suggests that the amount of water you should drink varies with each person. As long as you are drinking some water or other types of liquid, such as coffee or tea each day, you should be fine in that regard. Most food that you eat also contains some water which contributes to your daily intake. Getting proper rest is often overlooked as a part of a fitness regimen. Older adults tend to sleep less than they did when they were younger. It becomes important to get enough rest which will help you to have a more effective wellness program.To improve the quality of your life pay attention to your fitness nutrition.